After all of the success from our last Warm Clothes Rail we have decided to hold another as the cold weather is approaching us. 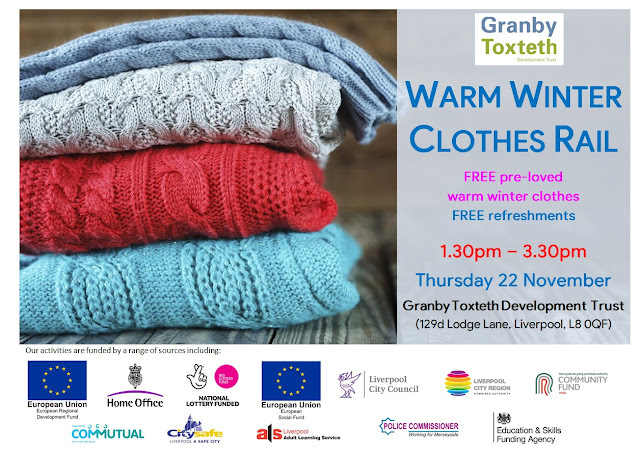 Held at our centre (129d Lodge Lane) on Thursday 22 November, 1:30pm - 3:30pm. Pop in if you can give some of our FREE pre-loved clothes a home!